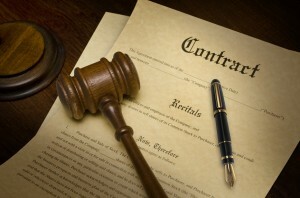 While securing federal government contracts can be very lucrative for individuals and businesses alike, these contracts – and the bidding process associated with winning them – can also be very complicated, especially if disputes arise. What can be just as complex as the bidding process are the various issues that need to be considered when it comes to working with specific government entities like, for instance, the Department of Defense. Since 1983, Denver Federal Government Contracts Attorney Thomas E. Downey has been successful at overseeing and resolving issues with government contracts. At Downey & Associates, PC, our Denver federal government contracts attorney has a proven record of success when it comes to assisting both small businesses and large corporations with the procurement and compliance issues associated with government contracts, as well as resolving any disputes that may arise between the various parties. Resolving prime and subcontractor disputes. Provide straightforward, concise advice and information to help CEOs make sound business decisions. If you need assistance with any issues regarding government contracts, you can count on Denver Federal Government Contracts Lawyer Thomas E. Downey. Since 1983, Thomas Downey and the other legal professionals at Downey & Associates, PC, have been providing individuals and businesses in the Denver Metro Area and throughout the U.S. with the highest level of legal service for their business, litigation, property tax and real estate legal issues. Our dedication to our clients, coupled with our extensive experience handling the complicated matters of contract law, means that our clients can always trust that we will aggressively protect their rights and help them achieve the best possible outcomes to their sensitive legal matters. In fact, at every stage of your case, you can trust that your choice to work with our Denver federal government contracts attorney will result your case and legal issues being handled with expert care and attention. We have the integrity, experience and resources necessary to ensure that you will receive the highest level of personal service, the highest quality legal services and, ultimately, the best possible resolution to your case.